They can’t officially call themselves the Trini PayPal for obvious trademark reasons but I can, and unofficially they are. I’m pleased to announce we now have our own online payment service here in Trinidad & Tobago similar to the PayPal model you know and love. Well it’s been mostly love-hate with PayPal which Trinis have been desperately trying to get to work for their own online business. It’s been fraught with issues, limitations, and can never work right. At this point, it doesn’t matter what they are/were, real or imagined, they’re now inconsequential. So who dares upset the bull-cart to venture into such shark-infested waters now infested with one shark? I’ve said it a long time ago that a local payment aggregator will eventually come and so it has. All the while PayPal has been the only option being free and easy to integrate. But there were many buts and while the US version is perfect, we have the Trini version which has never been an optimal or viable solution. I have both so was able to directly compare. The alternative was expensive and tedious process of applying for and integrating the First Atlantic Commerce payment gateway (which still has its place) that left out the little guys. I’ve long since hoped for a a simple and easy solution like PayPal to be replicated in T&T. I introduce to you now, the company called WIPAY and I’m going to tell you everything you need to know. Wipay Financial is a local company based in Port of Spain providing a range online/offline and electronic financial products and services to Trinidad & Tobago and the ENTIRE Caribbean, hence the ‘WI’ for West Indies. Their platform takes into consideration the lack of credit card penetration in the region and provides a channel partner network with over a thousand locations nationwide and Caribbean as a means for getting a Wipay voucher, which represents your stored value and can be used where ever WiPay is integrated. In addition to Trinidad & Tobago the company is poised to becoming a major player here and across the entire Caribbean as they are already in Barbados, Jamaica and the Eastern Caribbean, with Haiti and Guyana coming on stream in May 2017. I foresee them eventually taking a big chunk out of PayPal’s Caribbean business, perhaps even enough for them to notice. Additionally, being the first Caribbean player, they are poised to dominate even when competition ultimately follows. You never know, even PayPal could tweak their Caribbean model to cancel the aforementioned limitations that Wipay is capitalizing on, but by then Wipay will be able to hold their own with a strong Caribbean identity. I’m of course interested in the most relevant service— that of facilitating online payments for local E-Commerce websites. The easiest comparison is with PayPal because the model is similar, and I’m giving you my full review. Like I said, It works very similar to PayPal in terms of functionality and in my opinion works fine in the areas that matter. It’s actually very easy to set up and like PayPal only takes minutes. If you already have a WordPress website, because Wipay already has a WordPress plug-in, your online store can be up and running also in minutes. In some head to head comparisons it will really be comparing apples to oranges and of course David and Goliath which is just not fair. It’s the early days of Wipay in our corner of the world against the global giant. And YES, Wipay is competing directly with PayPal here and in the Caribbean. The single, most devastating blow it delivers to PayPal is the ability to withdraw ALL funds to your bank account. I don’t believe PayPal will ever match this. Not bad for David, er… Wipay! As luck would have it, Wipay’s payment gateway is none other than First Atlantic Commerce (FAC). This gives me some confidence for you already know I’m a Strategic Partner of FAC and I work closely with them on my own clients’ payment integrations. You actually get the best of both worlds as you get the FAC payment gateway without having to go through the approval process via a local bank. For USD transactions, Wipay uses US based provider, First Data. Like PayPal, the checkout process is handled externally and not on your site. This means that upon clicking ‘Pay’ after your customer fills out their credit card info, they will be taken to a Wipay’s hosted payment page where you’ll see the ‘HTTPS’ and Wipay’s URL. This negates the need for your own SSL Certificate which costs around $150 USD per year; another way it makes the option affordable. This means that your base currency for your online store, say, in Trinidad & Tobago needs to be set in TTD so all your products must be priced in TTD. As I mentioned, Wipay already operates in many Caribbean countries so each island’s local merchants must use their own local currency JMD, BDS, EC etc. Just a reminder that whatever the base currency used to process the transaction, you, the merchant, can always provide a currency switcher on your website for convenience. A great feature about Wipay is that online shopping can be done on any local E-Commerce store without ever using a credit card. Also as I mentioned, Wipay’s platform takes into consideration the lack of credit card penetration in the region and this eliminates the need for having one. There is also another silver lining as it keeps people out of credit card debt in general, but more importantly, chronic credit card debt, the natural side effect of owning a credit card. Wipay can be integrated on any open source website platform as there is a WIPAY API key that will allow a developer to access all of WIPAY services via code. You have to understand how payment methods work on E-Commerce platforms. PayPal is usually a default payment method on all of them and enabling it is as simple as checking a box or selecting ‘Yes/No’. You would then configure it with the email associated with your PayPal account and that’s it. But Wipay won’t be on the list to enable to begin with as it’s our own T&T thing. So first it has to be added to the list of payment methods by manual coding by a developer (hence the reason for the platform to be open source), or via an extension (also called plug-in). An extension allows non-techs to simply upload and activate to add a feature with minimal configuration. Wipay has a free plug-in for the popular Woo Commerce shopping cart extension that works with the WordPress content management system (CMS). I use WordPress exclusively for business websites and Woo Commerce for adding online store functionality. This WordPress/Woo Commerce combination is one of the most popular so no surprise that Wipay would have this immediately available. The process is as simple as uploading and activating the plug-in and filling just a few fields with your Wipay account info and you’re done, ready to start selling. With WordPress taken care of, the only other platform I use is Magento, but Wipay doesn’t have a pre-built extension for it. Fortunately, they have been gracious enough to do the integration for one of my clients, and hopefully they’ll have a Magento extension that;s easily added. As long as the platform is open source, then the Wipay payment option can be added by any developer using their API. It will boil down to a matter of cost though for such custom integrations. Using a more popular platform will always be cheaper. Hosted shopping carts like Big Commerce and Do-it-Yourself website builders like Wix and Weebly are closed software, so Wipay can’t be made an option on these. Wipay enabled on this WordPress site of my client PC Clinic, of Princes Town. This company has a physical plus online store. Prior to Wipay, PayPal was being used, but of course PayPal was never an optimal option, and now Wipay should move things ahead. You can do the same on my client’s site Super Technologies and test with any product in your cart. Checkout as guest and when you reach the Payment Information tab you’ll see the radio button to select Wipay. When you click Place Order you’ll get the Wipay Payment Page. In my view, these are the current limitations when compared with the pure basic features that make PayPal so easy to use where you can set it and just forget it. Wipay has no feature available presently that links your account directly with your credit card or TT bank account to allow partial funding of an online purchase. For example, if I’m checking out an item for $100 and my PayPal account only has $40, I can automatically pull the balance of $60 from either my credit card or bank account (one is set in your PayPal profile as Primary), OR pay the full amount from either credit card or bank account. With Wipay you either pay the full amount from credit card, or full amount from your Wipay account AND they are either/or options when choosing a payment method, unlike choosing PayPal as a payment method then presented with options to pay via credit card or PayPal funds. I hasten to emphasize that these limitations are noted for completeness and are by no means gaping holes in its functionality. PayPal has spoilt us with the convenience of instantly and automatically pulling additional funds from two other funding sources, i.e. credit card and bank account DURING the checkout process. With Wipay, if you know Wipay account is short $60 then you can add it via your dashboard using your credit card, or simply using your credit card to pay all of it. In my discussions with Wipay, they did stress that theirs is a platform that will be continuously evolving to improve service so any observed limitations will get their due attention and corrective measures as necessary. 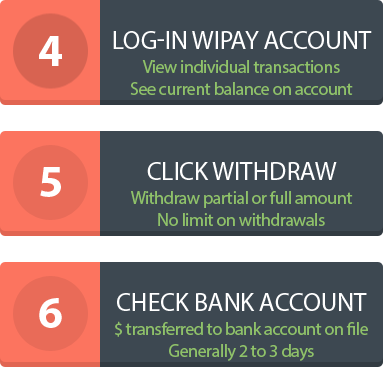 How secure are your funds in your Wipay account? I asked this question to Wipay directly as this was one of my major concerns. This is a local company, and granted they are legit and above board, anything can happen. What if some new government regulation impedes their ability to operate, some industrial action, some legal complication, even internal corporate governance issue, what guarantee do they have that funds sitting in your Wipay account can be transferred to you, and that they remain a going concern? Wipay’s Marketing Officer indicated that they’ve been working closely with the the Central Bank of Trinidad & Tobago to ensure that their operations satisfy the legal requirements as a financial services company. For your benefit, you may view the links to Wipays Legal Statement and Terms & Conditions. Personally I would have preferred more specific references to local regulations that govern their operations such as the Electronic Transactions Act (2011) and applicable financial services Acts of Trinidad & Tobago. Wipay opens the floodgates of local E-Commerce with an affordable and easy to use online payment service thus removing all the barriers to entry that prevented micro, small and medium sized businesses from opening online stores. 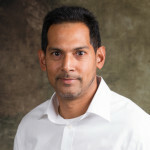 Prior to Wipay, enabling online payment was an expensive and long process and the reason why there are so few online stores in Trinidad & Tobago. It also opens the floodgates on the customer side as Wipay removes the need for having a credit card which I mentioned briefly above and I’ll explain in more detail below. If you already have a regular business website and have been considering selling products or allowing clients to pay for services through your website you can enable the shop feature of your site and install Wipay. Again, bear in mind what I said about platforms. 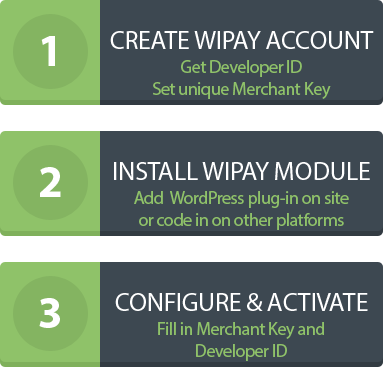 If you have a WordPress site already you’re good to go, just add Woo Commerce and install Wipay. That’s what I did for Forward Multimedia. Many of you may have been on the fence on launching an E-Commerce website due to the affordability and uncertainty. If you are an individual, small, medium or even big business, just get cracking on your site as online payment is now easy as macaroni pie. I suggest using either the WordPress or Magento platform for your new online store. Online shoppers can open their own Wipay accounts and deposit funds to it via vouchers purchased offline at may Lotto booths and other agents, then use the ‘Pay with Wipay Account’ option upon checkout on E-Commerce sites that have Wipay. I foresee promotions like: ‘SHOP ONLINE IN T&T WITHOUT A CREDIT CARD’, as it will do well for merchants to promote Wipay to their customers, especially those without credit cards, to ensure that they know that they too can shop online. I also foresee online stores advertising ‘SIGN UP FOR WIPAY’ to increase their customer base. Whether or not Wipay has plans (and if I know I’m not at liberty to say), they can play a huge role in the development of local e-Commerce while at the same time saving millions in foreign exchange by bypassing the credit card network altogether. You don’t need to have deep pockets to open an online store; Wipay is easy to integrate and once you have a website (especially WordPress) you can start selling almost immediately. The only thing that will take time is building the site. If shoppers fund their Wipay account via top-up voucher and NOT credit card and use ‘Pay with Wipay’ option when buying from local online stores, then the VS/MC system remains out of the equation and the entire online financial transaction is TOTALLY in TT Dollars. This may not necessarily impact Wipay’s bottom line so to encourage such a scenario would be mostly altruistic move as a good corporate citizen patriotic to Trinidad & Tobago. Ideally, Wipay could harness the existing Linx system which has also done its part in keeping TTD circulating electronically without need for credit cards, OR, develop a similar system, this would bring it up one more notch comparable to PayPal. In the short term, if Wipay can at least enable online transfers to Wipay account from a shopper’s bank account via online banking, the same system we use to pay utility bills online, then despite the one or two day wait, it would technically be an online transfer. This is a recent development pushed by the local banks. For example, merchant accounts at our banks like FCB and Republic that are set up for the FAC Payment Gateway are denominated in TT Dollars and transactions pass through the system in TT Dollars with only the VS/MC fee remitted in US Dollars. Local merchants probably won’t be allowed USD denominated accounts unless they are earning international sales, i.e. 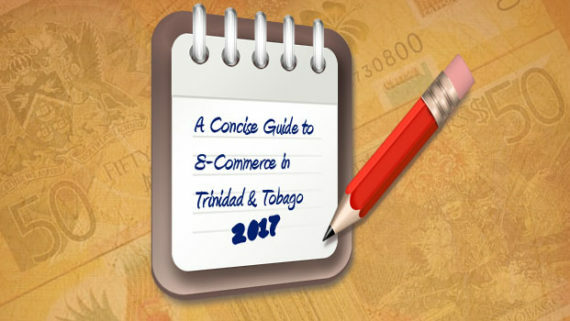 if the bulk of online sales will be from within T&T, then most likely their merchant account will have to be TTD. 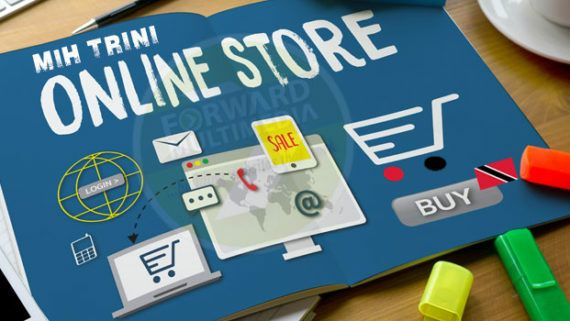 The present government is currently drafting a National e-Commerce Policy. Now I’m not a fan of T&T governments in general and especially this one, so even if this policy arrives stillborn, it’s worth a shot from the perspective of saving foreign exchange. For this reason I would encourage the Ministry of Trade & Industry to work with Wipay to create some incentives for Wipay, E-commerce merchants, and Trini shoppers as part of this policy. I’ve never spoken to any Trini merchant interested in E-Commerce who didn’t have their sights set on the wider Caribbean EVENTUALLY, once they’ve mastered Trinidad & Tobago. The good news is that with Wipay, this is easily accomplished as there would be nothing else to set-up. 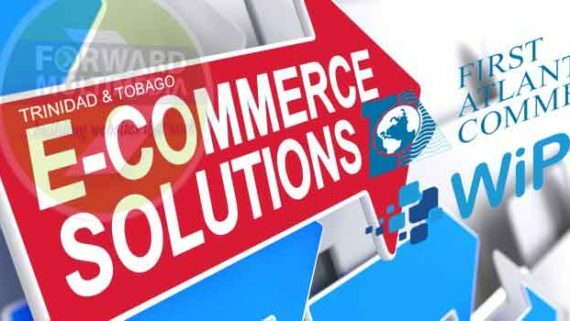 While mastering one’s own country is a good strategy, there’s nothing preventing IMMEDIATE Caribbean E-Commerce. As long as an online store in any Caribbean island (that has Wipay enabled) markets regionally, i.e. specifically states ‘We deliver to the following islands…’, then shoppers are free to visit a website based in any island and submit orders. So a Bajan shopper with either a credit card/Wipay account, or Wipay account only (no credit card), can visit a Trini online store that delivers to Barbados and place an order. If he/she uses their Wipay account to pay (i.e. no credit card), which would be denominated in Barbados Dollars, the Trini merchant will still collect the TTD equivalent of the order. 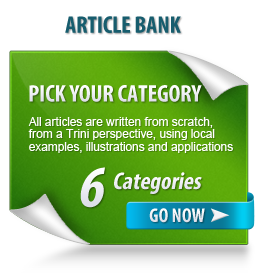 Same goes for the other way around, Trini shopping on Barbados website. The real kicker is depending on the usage of Wipay account to pay versus credit cards, the possibility of not ever touching the Visa/Mastercard network at all and losing any foreign exchange in all Caribbean countries. Wipay makes E-Commerce in Trinidad & Tobago available for the masses via a model almost everyone is accustomed to. As it gains ground and more online stores with Wipay begin rolling out, I see it as a catalyst for the local industry which should bring about a paradigm shift in the market. It’s an absolute game-changer. As you can tell from the tone of this article this is an overall positive review. I’m already promoting Wipay to my clients (TnT Bamboo Online was the first Magento site), and I’ll be actively marketing it on my E-Commerce page henceforth. Believe it or not, I first learned of Wipay in August of 2016 and I’m now writing this article! And the only reason is that I needed enough time to learn about it and I couldn’t find the time in the midst of projects to fully check it out and test it, nor draft a comprehensive article I think it deserved. I’ve also been in close communication with the Wipay founders to learn first hand about Wipay, their objectives and plans for the future. At this point I have confidence in them as a strong local company. Go to the Wipay website wher you’ll find all the additional services plus sign-up form to start selling online. Contact me when you’re ready to start your online store with Wipay. Hi, great article.The biggest challenge my company has faced are customers who pay at a Lotto booth can change their mind on their way. My personal view is that there is a need for a LINX online payment system. TT debit cards are lagging behind when it comes to eCommerce. Agreed that the interval leaves room to change mind. The Linx system can’t work like that with its present framework though. Until we get over the USD shortage then banks may resume offering prepaid debit cards. I have a wordpress website using woocommerce. My business is based in Barbados, Can I use WIPAY? Yes you can. WIPAY is available in most Caribbean islands and all transactions settle in local currency even if originating from outside. What about the Ecwid storefront. Can the WiPay API be loaded there? You have to go to PayPal’s website and apply there. Love what I’m reading about here. To be clear, Can one receive USD earned online from sources such as Amazon affiliates and or the direct sales of a digital product off of one’s website via WiPay? Sorry, i seemed to have missed this comment over the holidays. The answer is no, WIPAY only settles in TTD so if you sell a digital product through your own website with WIPAY as the payment method, the base currency has to be in TTD. For USD earned from affiliate sources, WIPAY cannot be used as a link to your affiliate account like PayPal as such linking has to be made available by the affiliate company which won’t recognize our tiny indigenous payment company. Hi. Wix doesn’t support third party gateways except what they have available by default, so FAC and Wipay integration with Wix is out of the question from the get-go. If you want to accept credit cards with either one, you’ll need a supported platform, and the only 2 right now are WordPress and Magento. The next step up for you from Wix would be WordPress. To keep things simple, I would suggest Wipay even if you want to get the ball rolling with FAC as it’s expensive and time consuming. The bookings coming through via Expedia etc. would need some clarification on how it links to the site’s online booking. I have a booking feature on a WordPress site I did with FAC, check it out here: https://www.novelsportstt.com/book-indoor-facility/. Message me privately if you want to discuss further. This is great! I wonder if this would work on opencart? Sorry, not on Open Cart platform. I understand, I will code myself and let you know how it works out. I do believe there may be an extension written for Open Cart. Message me. I have a small business that receives payments/advances for me to do work here in Trinidad from customers who live in the USA, Canada,Germany, England, France, Barbados,Guyana, Grenada. they email me the requests and my next step is to either do the work or/ and receive the money to do the work. This is after quotations have been sent. Because of the nature of my business most of the items has to be purchased either in the states , China, England, which means foreign exchange. We know that problem. I have virtually been pushed out of business by the banking sector and in fact the Central Bank of Trinidad and Tobago. I have a paypal account and as of yesterday which is the third time I have spoke to paypal for the week. I have not been able to receive withheld funds from my account, although they said that they would have released the funds yesterday. Each time they spoke to me they said that they were following the guidelines of the Trinidad and Tobago Central Bank. And now up comes WIPAY.. Yes I am upset with PAYPAL because they never disclosed the 30 day delay in receiving payments upfront. But I clearly am also cautious about WIPAY. 1 Can I receive payments from my customers in US dollars in my US bank account. 2 How can we be assured that this scenario with WIPAY will not change in the near future. Hello Mark. Perhaps PayPal holds funds for 30 days before you can withdraw as a measure against possible chargebacks by the cardholder. If immediate funds withdrawal is allowed then they won’t have recourse against chargebacks once you have the funds in your possession. To answer your questions about WIPAY: You can’t receive USD to your US bank account via WIPAY as WIPAY only links to a T&T bank account. WIPAY is working on separating funds in your WIPAY account denominated in both TTD and USD for USD earned from international sales. There is no assurance for any business to remain a going concern so customers will have to consider their own risk tolerance accordingly. I just came across this website / article and wanted to add my two cents. First I think it’s great news about this WiPay business! I would definitely consider it, but, at the moment, due to lack of time, etc., developing an extension for a joomla website, is not an option for me. However, what I wanted to mention is I’ve had a PayPal merchant account for years now and I remember in the earlies, I was allowed to sign up for a merchant account, and I had to verify it with my credit / debit card (I used a Republic Bank VTM card), but, then couldn’t link an account to it to withdraw monies to. As a result I wrote them enquiring about this, and their response was that due to insufficient internet data protection laws (and, I’m guessing, possibly banks in Trinidad and Tobago may not have been permitting it / had not approached them about it), they could not connect to bank accounts in Trinidad and Tobago. My response was, basically, listen, if there are sufficient data protection laws for you to connect to my (VTM) debit / credit card, withdraw US$1.00 to verify, send me a pin number on my bank statement, and then give me back my US$1.00 when I enter the pin number to verify the account, then there are sufficient data protection laws for you guys to at least allow us to withdraw to our Credit / (VTM) Debit cards. Within a month or two, all of a sudden, Trinbagonian Merchants could withdraw paypal funds to their Credit / (VTM) Debit card accounts. As for the automatic transfer thing, once your card is set up, they do an automatic transfer of all cleared funds once a month. My understanding of the matter is that until you as the seller attains a certain status with them (you have to be paid regularly through them, and your sales have to reach a certain level, and they have to see that your customers hardly ever ask for refunds), you have to wait until the funds clear … that is their protection against the customers asking for refunds … because they also handle the refunds on behalf of the customers. It is annoying, but, reasonable. That’s my two cents on this topic. Hmmm, that’s more like a dollar on the topic and much appreciated:). PayPal is workable as an option but not optimal and still has its place as an additional payment method for those inclined to use it (both merchant and shopper alike). I would still encourage local merchants to make use of our Trini solution as their go-to method even if alongside PayPal. Ideally though I would prefer PayPal not be an available option altogether in the interest of our own E-Commerce ecosystem. Please get someone good with marketing on board. Buy in is crucial. Here in the Caribbean I have observed you will get tremendous support with lip service. For freelancers such as myself this is a great alternative to paypal and a safe way to receive payment for work done. Word of mouth is definitely working and one way is getting the buy-in, endorsement and promotion from web designers because of their reach and influence; this article is an example of that. Exposure in the public space is another and there was an article in the Trinidad Guardian back in July titled Start-up out to shake up e-commerce which profiled WIPAY. I’ve been hearing from WIPAY of an imminent public launch all year now but it doesn’t look like it will come off any time soon. Nevertheless, I believe it has the legs to grow organically. 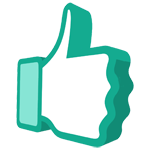 Hello Zaf, trying to get a hold of you on a representative from Wipay so we can start implementing their system onto our website. Do you by chance have a line I can call to get a hold of them, besides the one provided?. Hi Marc. What platform are you implementing on? They have a WordPress plug-in available for download. Send me an email on details of your implementation and I’ll get them involved if need be. Does it support subscription payments? Hi Shem, nice to hear from you. No subscription payments yet, but on their to-do list as a priority. This is an awesome development! Thanks very much for your review. It has really helped in the understanding of how Wipay works. Thanks again! No problem, yes awesome development indeed!